ParadoxTechnology accurately determines whether a person's strong behavioral traits are genuine strengths or costly derailers. This determination is a crucial consideration most traditional assessments fail to make. Does your existing leadership team have the competencies to fulfill your strategic plan? Find out using our customizable Leadership Analytics which measure the competencies that will be needed for each senior management role. 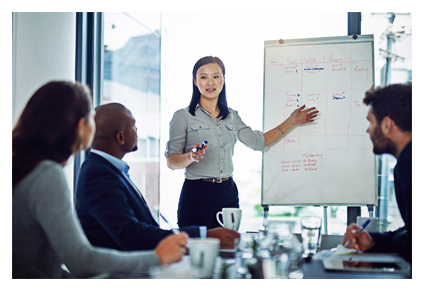 Support your managers to become better coaches by using our coaching competency report that compares their behaviors to effective coaching behaviors. Engagement is a psychological phenomenon that is unique to each individual. That's why it is important that you empower your managers with the key data they need to understand and foster engagement for their individual employees. 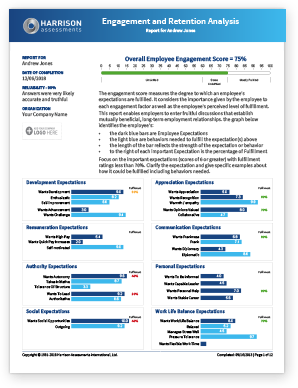 Our Individual Engagement Reports provide a roadmap of each employee's aspirations, expectations and related behavior patterns in order to maximize engagement and retention.